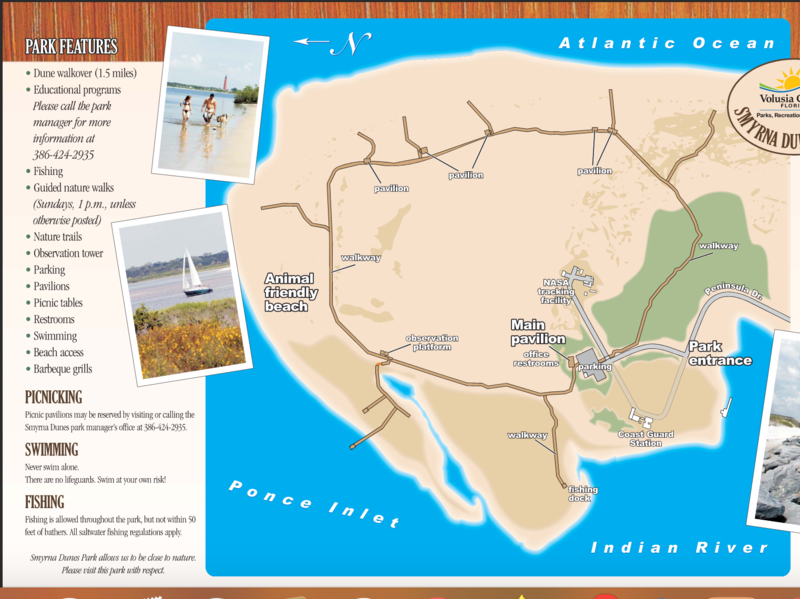 Smyrna Dunes Park is a wonderful park at the northern end of New Smyrna Beach. 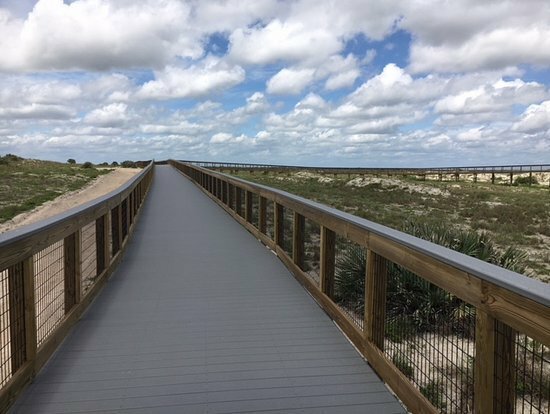 It’s a great place for a run, featuring a 1.6 mile boardwalk trail that winds through through and over dunes, with scenery that includes ocean views, some shaded canopy, sections of desert-like terrain, and views of the Ponce Inlet and lighthouse. There are also some nature trails, though the surface might be softer sand and tougher for running. For a longer run, enjoy as many miles as you like on the hard, packed sand of New Smyrna Beach. Note: fee if you drive in.